I’m on a plane as write this off to Providence, RI where Hasbro’s annual awards show and licensing summit is going to be held. I’m traveling with Ted Adams, CEO of IDW Publishing. I went to this event last year with IDW’s editor-in-chief and publisher Chris Ryall. 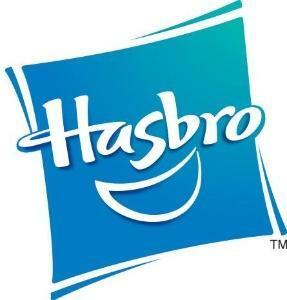 It’s a pretty interesting event in that Hasbro appears to take it quite seriously. I must admit, my first thought was that it was a political thing for them and a way to thank all of their licensee’s. If you don’t know, a licensee is someone (or an entity like IDW) who pays another person or entity (Hasbro, in this case) for certain rights and usages. IDW currently holds the comic book publishing rights for both TRANSFORMERS and G.I. JOE properties, which are owned by Hasbro. This awards show brings all of Hasbro’s licensees together and an independent group within Hasbro has pulled together a list of nominees for a variety of categories. It’s Hasbro’s version of the Academy Awards. The more I hear about the set-up of how it’s done, the more legitimate it seems. This year, IDW is nominated in two categories—publisher of the year and most innovative product. I suspect that we’re nominated for publisher of the year because of the successful relaunch of the G.I. JOE comic book franchise. All of the G.I. JOE books are being remarkably well received by fans, retailers, and Hasbro itself. Also, we’ve just started our soft relaunch of the TRANSFORMERS comics. My guess is that we’re nominated for most innovative product primarily due to the stand-alone issue G.I. JOE: COBRA SPECIAL, in which we had a great time playing with the comic book medium, telling a tale about two twin brothers in a set of mirror images. The frst 11 pages mirror the last 11 pages in layout, composition, color, and even lettering placement. It’s not the frist time something like this has been attempted—most notably in WATCHMEN #5, but to my knowledge it is the first time it has been taken to this level. WATCHMEN #5 was a mirror image in panel layout only. Don’t get me wrong, I’m not claiming that what we did is more innovative, I’m just saying we took it to the next steps. Anyway, maybe the awards show is predetermined and done purely for political basis. I don’t know. But what I do know, is that if we win in either category we actually get a crystal spud (they are the spud awards, after all). And the idea of a crystal Mr. Potato Head just brings a smile to my face. So, here’s hoping we take home some bling-‘taters!